Alissa Anderson initially joined the Budget Center in 2005 and served the organization for nearly eight years analyzing trends in California’s labor market. After a year hiatus, Alissa rejoined the organization in 2014, focusing on state strategies for reducing poverty. Prior to joining the Budget Center, Alissa worked for several years as a researcher in the Education Policy Center at the Urban Institute in Washington, DC, and conducted research for various organizations including the Los Angeles Alliance for a New Economy. She holds a master’s degree in urban planning from the University of California, Los Angeles, and a bachelor’s degree in sociology from Bryn Mawr College. Scott Graves joined the Budget Center in 2002 and has served as director of research since 2014. In this role, he oversees the Budget Center’s analytical work, conducts research and analysis related to health and human services and corrections, and is the organization’s lead analyst on the state and county budget processes. Scott has covered a number of other policy areas at the Budget Center, including child care, preschool, and housing, with a focus on both the state and federal levels. Prior to joining the Budget Center, Scott worked as a researcher in Austin, Texas, for the Tomás Rivera Policy Institute, Consumers Union, and the Public Policy Clinic at the University of Texas at Austin. He also was a California executive fellow and worked as a reporter for newspapers in Arizona and California. Scott received a Ph.D. in political science from the University of Texas at Austin and a bachelor’s degree in government and journalism from California State University, Sacramento. Yesenia Jameson joined the Budget Center in 2016. She previously was on the communications team at Housing California, a statewide nonprofit whose mission is to increase the supply of safe, affordable housing and to prevent and end homelessness. Yesenia supported one of Housing California’s statewide advocacy networks by producing action-oriented newsletter articles on topics related to California government and policy and the state’s housing affordability crisis. Prior to this, Yesenia worked in several education-related roles, including writing tutor at the University of California, Berkeley, guest teacher in the Natomas Unified School District, and curriculum writer for Fruitful Minds, a Bay Area nonprofit working to improve childhood nutrition and health. Yesenia graduated from the University of California, Berkeley, with a bachelor’s degree in English and religious studies. Jonathan Kaplan joined the Budget Center in 2006. He analyzes education policy with a focus on K-12 and higher education. Prior to joining the Budget Center, Jonathan taught law and United States history for seven years in Martinez, California, where he also served as chair of Alhambra High School’s social science department. He holds a master’s degree in education from the University of California, Santa Cruz, and received his bachelor’s degree in history from Yale University. Mimi Khalili joined the Budget Center in February 2019, bringing to the organization 11 years of organizing, engagement, and research experience in union contract and issue campaigns and state policy. Prior to joining the Budget Center, Mimi worked for home- and healthcare employee unions, as well as for K-12 and higher education employee and faculty unions across California and Oregon. Mimi holds a bachelor’s degree in botany and zoology from the University of Wisconsin — Madison. 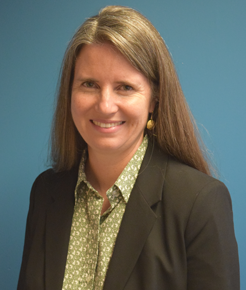 Sara Kimberlin joined the Budget Center in January 2017, bringing with her more than 15 years of experience in California in the fields of policy analysis, social science research, human services, and housing. Sara came to the Budget Center from the Stanford Center on Poverty and Inequality, where she continues to be an Affiliate. At the Center on Poverty and Inequality, she conducted research and analysis of poverty trends, safety-net programs, and policy proposals intended to improve outcomes for low-income families and individuals. Sara has also worked as a research fellow for the John Burton Foundation, focusing on child welfare policy; as development director for Shelter Network (now LifeMoves), a homeless services nonprofit; and as an independent consultant to nonprofits, foundations, and cross-sector partnerships, specializing in workforce development, housing, and safety-net supports. She holds a Ph.D. and master’s degree in social welfare from the University of California, Berkeley, and a bachelor’s degree from Harvard University. Kayla Kitson joined the Budget Center in October 2018 to focus primarily on tax policy issues. She most recently worked at Americans for Tax Fairness in Washington, DC, on federal tax policy and has also spent time at the Institute on Taxation and Economic Policy and the Center on Budget and Policy Priorities in Washington. She also previously held positions at organizations focusing on affordable housing and homelessness in Los Angeles and the San Francisco Bay Area. Kayla received a master’s degree in public policy from the University of Maryland, a master’s degree in social welfare from the University of California, Los Angeles, and a bachelor’s degree in psychology from the University of California, Berkeley. Aureo Mesquita joined the Budget Center in March 2019. He previously interned at Albright Stonebridge Group in Washington DC where he analyzed public-private partnerships in Latin America. Prior to this, he interned at the Wilson Center where he researched new political movements and analyzed the need for pension reform in Brazil. Aureo was a member of the Council of Brazilian Citizens at the General Consulate in San Francisco where he supported youth and undocumented Brazilians in the Bay Area through the dissemination of health, education, and legal resources. He received his bachelor’s degree in economics from the University of California, Berkeley and is a Public Policy and International Affairs (PPIA) Fellow from Princeton University. Adriana Ramos-Yamamoto joined the Budget Center in February 2019. Her work will primarily focus on health policy, specifically to increase access to and understanding of California’s mental health system and to contribute to the Budget Center’s work on social determinants of health. Prior to joining the Budget Center, Adriana worked as a health policy associate at The Children’s Partnership and as a graduate student intern and health educator at the Los Angeles County Department of Public Health for the Maternal, Child, and Adolescent Health Programs. Adriana received her master’s degree in public health from the University of Southern California and her bachelor’s degree in government from Claremont McKenna College. Amy Rose joined the Budget Center in June 2017. Her work focuses on state policies that provide Californians greater opportunity to complete a higher education credential regardless of race, ethnicity and family income. She completed her master’s degree in public policy and administration from Northwestern University. Amy received her bachelor’s degree in political science from the University of California, Berkeley, and has worked on education issues in various government and nonprofit institutions at the local, state, and federal levels. Kristin Schumacher joined the Budget Center as a policy analyst in 2013 and has been a senior policy analyst since November 2017. Prior to joining the Budget Center, she taught public policy and public administration courses in the School of Public Affairs at the University of Colorado Denver and held research positions with the University and the Feminist Majority Foundation. She also worked in fundraising and development with the Colorado AIDS Project in Denver. She received a Ph.D. in public affairs from the University of Colorado Denver and a master’s degree in social work with an emphasis in policy and administration from the University of Texas, Austin. Janice Selby has been the Budget Center’s director of operations since 2014 and has been with the organization since 2008. As director of operations, she is responsible for managing the Budget Center’s day-to-day administrative operations. Additionally, she oversees layout, production, and distribution of publications and logistical arrangements for events and meetings. Janice received her bachelor’s degree in communications from San Jose State University. Janis Yee joined the Budget Center as communications associate in 2015 and became development manager in March 2016. She began her current role in March 2019. Prior to the Budget Center, she worked for two San Francisco Bay Area-based communications firms focused on social change. From developing communications strategies to coordinating events, Janis worked with various nonprofit and foundation clients in the issue areas of child welfare, foster care, and juvenile justice. Janis received her bachelor’s degree in business administration, concentrating in marketing, with minors in psychology and economics, from California Polytechnic State University, San Luis Obispo. Check out our most recent analyses, events, and other happenings in the latest Budget Center Update.